I love Annie Sloan paint, however I am not always a fan of her prices. Chalk paint is currently the “in” thing these days, but after using her paint and creating my own DIY mixtures, I really do not see a difference. 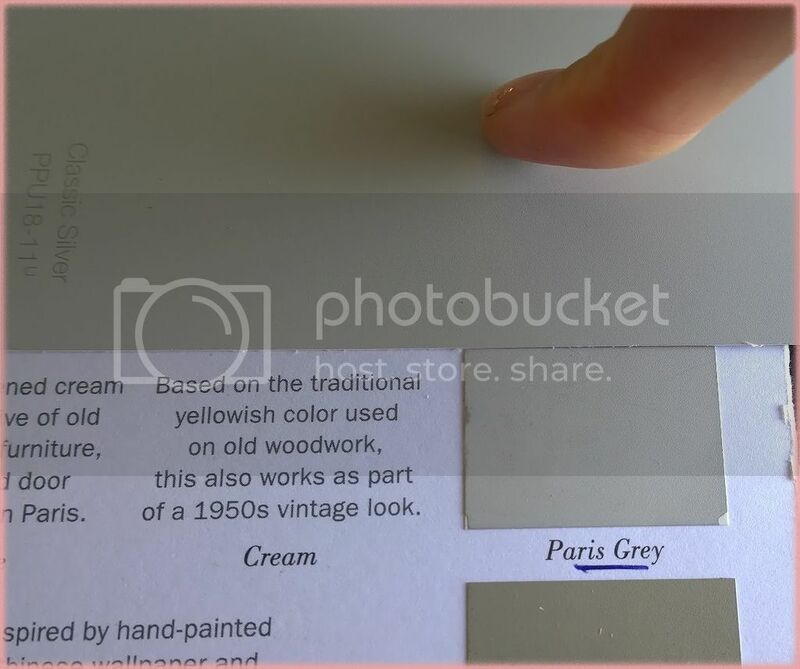 Honestly, whip up a batch of Plaster of Paris with any of the Behr colors that match ASCP’s and put them side by side…the difference is nil to nothing. 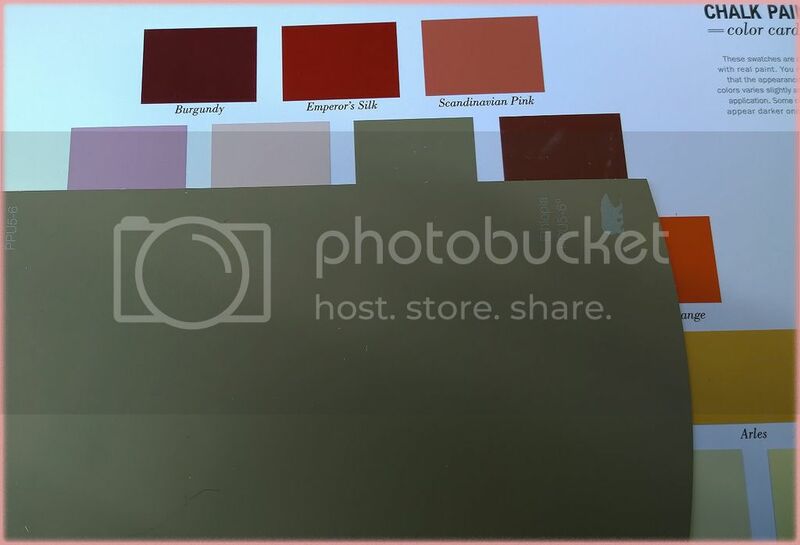 I know there is already a list out there that matches Behr colors to Annie Sloan’s but I realized after doing some research that the list is A) outdated B) the colors are not precise and do not match. I wanted to do a very thorough and close match to ASCP’s colors. 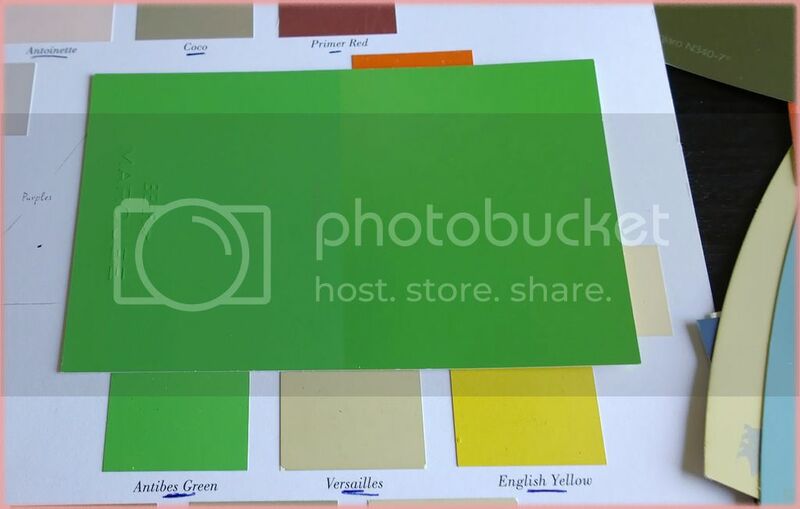 The colors I’ve researched are not just “similar”, they also match undertones and overtones. 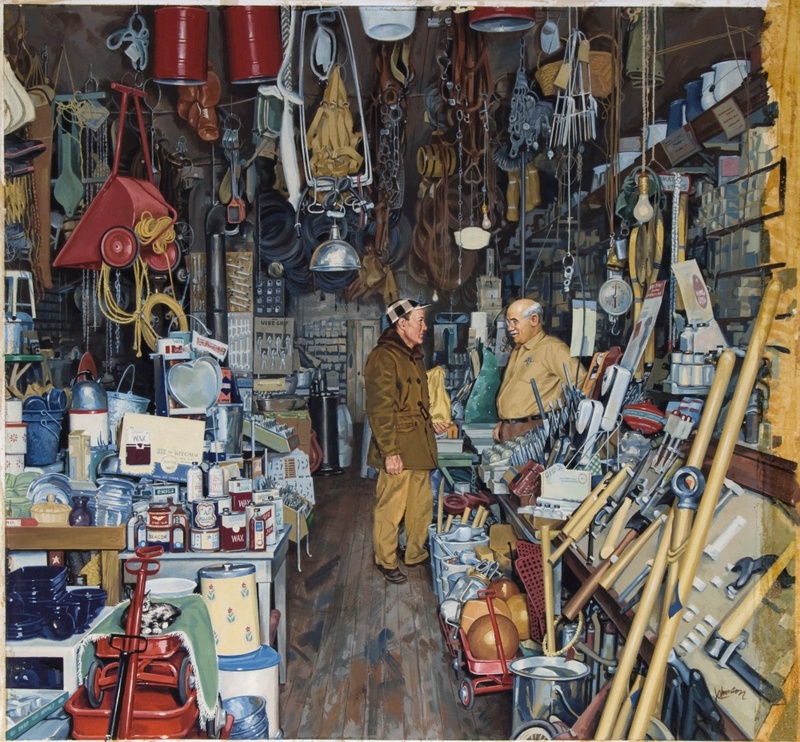 Thus, the colors are as close to authentic as possible. ASCP’s Coco matched with Behr’s Ethiopia (camera lens makes it look a little green, it’s actually brownish cream). In some cases when a Behr color is not possible, I matched it with Glidden or Ralph Lauren paints. All three brands are carried by the Home Depot and are affiliated with each other. 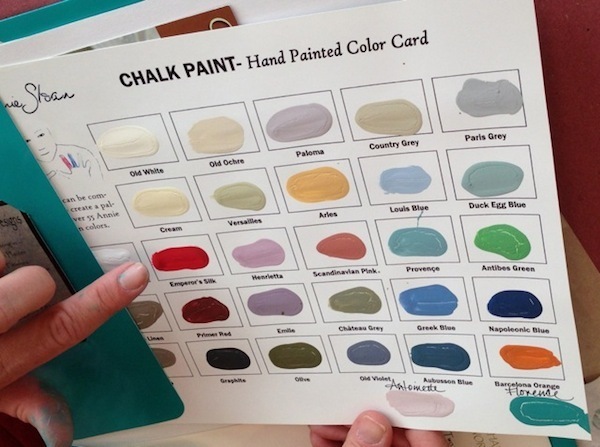 Home Depot can transform it into a Behr “color” by using their color match system. I hate wastefulness, I also hate knowing that I have not always been the best caretaker of our planet. I don’t always recycle, and I tend to drive short distances when I could have just walked. All those temptations towards instant gratification has definitely spoiled me ;). Considering the fact that I live in California where we are going through a record drought, I need to change my attitude towards certain habits. One of the things that’s really important to know is how to dispose of toxic chemicals. 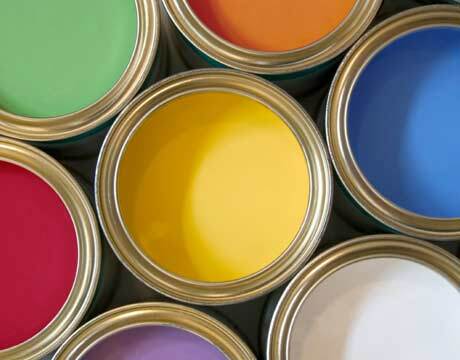 Paint, especially oil-based, are considered toxic and hazardous to the environment. One should always be careful not to pour paint into the ground or directly into the drain (it could actually damage your piping system!). Oil based paint is considered flammable so you should never try to burn it as the fumes are not only extremely toxic but can also release contaminants into the air. 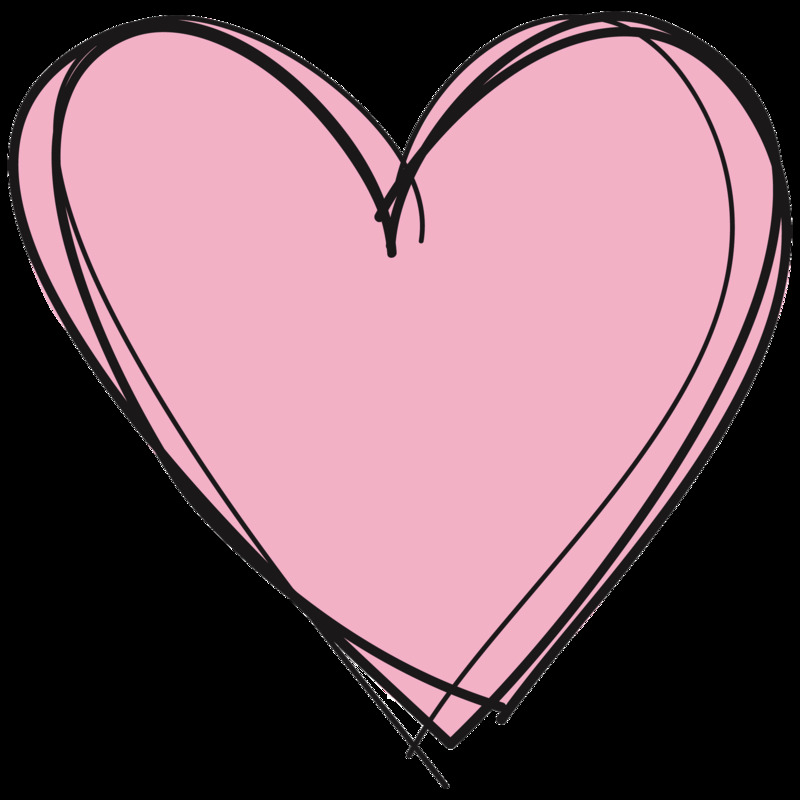 I use a lot of latex paint, which are water based and are considered non-toxic. However, some latex paints do contain a small amount of mercury which is hazardous to the environment. One should exercise caution not to pour liquid latex down the drain or into the ground. So how does one get rid of leftover paint? Reuse. When the paint I am using is not a DIY chalk paint, I store it in a dark cool place sealed with plastic and stored upside down. Sometimes I buy colors that I absolutely despise so I would think of ways to reuse them without forfeiting cosmetic appearance. 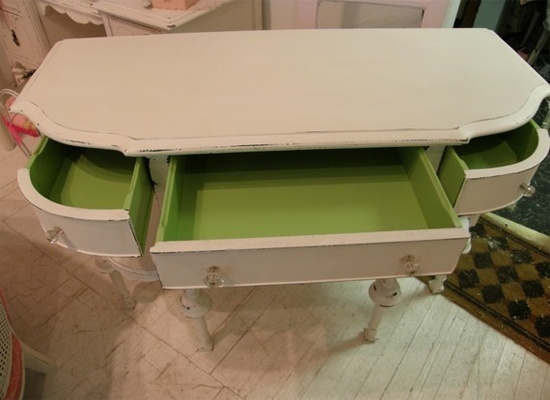 I like to save my unsavory paint colors to paint the insides of drawers and cabinets. Use left over paint for layering to distress. …Or just little details and trimmings. I leave my paint outside for 2 days to dry. Recycle your paint! I keep a small container in my cabinet filled with misc paint colors that I couldn’t dispose of or solidify. Whenever I am done with a project I would pour the leftover paint into this small plastic container, when the container is full I would drop it off at my local paint shop for them to dispose! My disposable container to be recycled! My paint store is Sherwin Williams, they are excellent at getting rid of your leftover paint. Just drop it off and rest assured that none of that toxic waste will be making its way into our food chain! 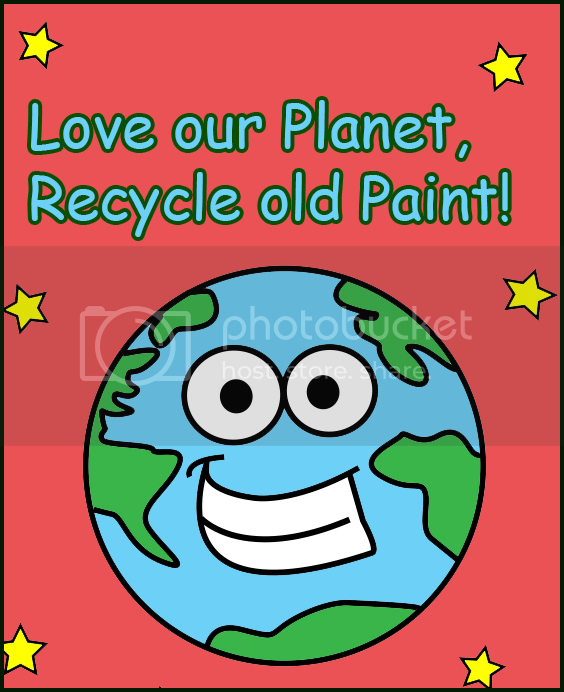 Recycle your paint at a local paint store! Other Alternatives (that I haven’t tried). I heard you can also brush or roll the paint onto layers of newspaper or cardboard. When the paint dries, put the paper in the trash bin. 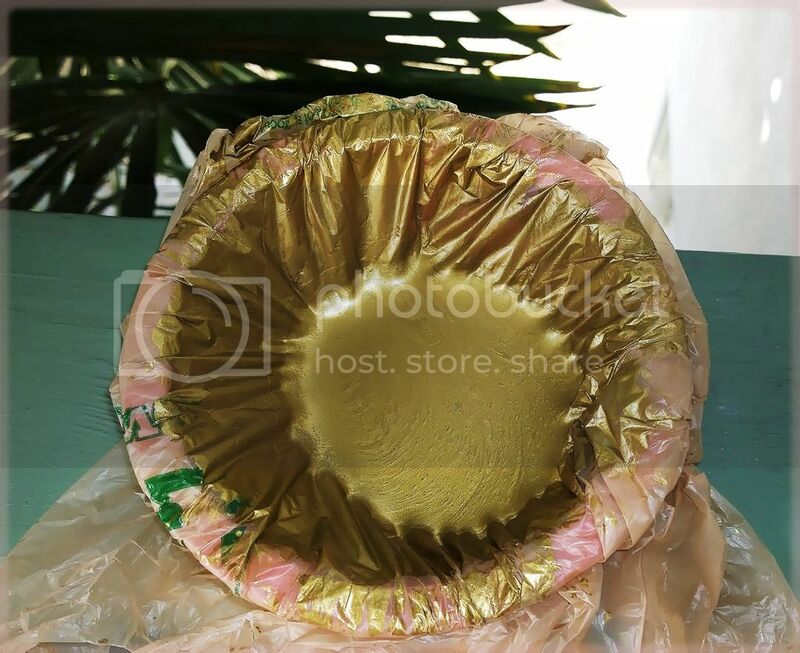 Alternatively, you can pour the paint into a cardboard box and mix it with shredded newspaper, cat litter, or a commercial paint hardener to speed solidification. The box can go in the trash when the paint dries and the cans can be recycled. 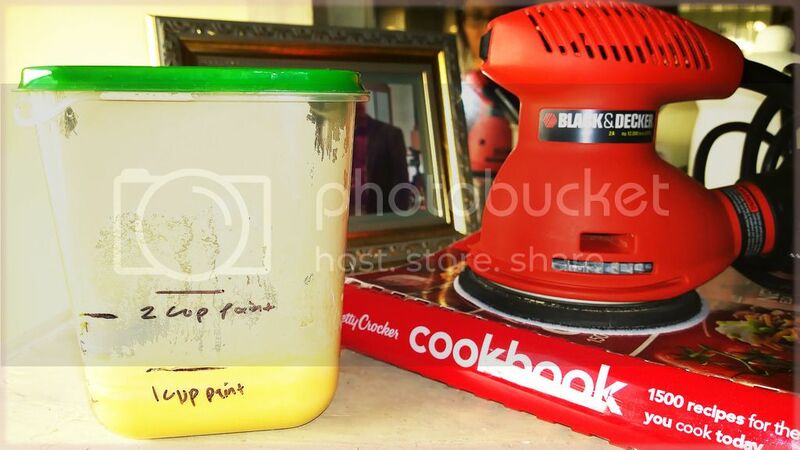 There are so many ways to get rid of that paint, I hope you have found a method that is easiest for you! Happy painting! I never thought that I would be spending my time at Home Depot on the weekends. Seriously, these days have been spent roaming the hardware aisle looking at all the sparkly little gems that are oh so beautiful. They look so intimidating, big burly mechanical things that seem to scream “NOT for wussies”. Honestly I find it very exciting. I am ready to take on these bad boys ;). Palm sander or orbital sander? I knew that my first expensive investment would have to be a palm sander, I hate having to spend so much time sanding everything by hand. As of right now I don’t really do too much prepping before painting, and although my projects look great without it, I am a perfectionist and was raised with the “do it well or don’t do it at all” mentality. These things won’t just cut my sanding time in half, but will leave a very smooth foundation for my paint as well. 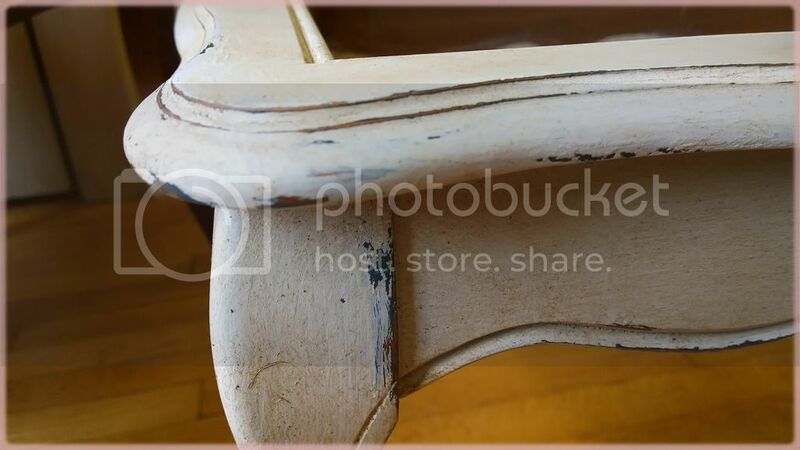 I know a lot of people say that you don’t need to prep for chalk paint, but honestly sanding is so important because you are removing a surface of grime and dirt that has accumulated over the years. It just can’t look its best without sanding. I was watch American Restoration on the History Channel last night and I learned that you can make your own wood filler by saving your sanding dust and mixing it with glue! How awesome is that? I just love learning new things. Another thing I discovered is that you can use foam to kneel on. My husband got these egg crate pads from shipping containers at his hospital, they make it bearable for when I am on my knees painting or sanding. It’s fantastic! Use foam pads to kneel on! Furniture refinishing really brings out my artsy side, I can literally transform anything with color. Don’t like the color of those cabinets? Paint it! Stains on your dresser? Paint it! Worn out looking table? Paint! The whole world comes together in a canvas in my mind, and I am the paintbrush. It feel good knowing that I no longer contribute to the million tons of garbage that gets dumped into our landfills and oceans every day. This is a good feeling that is also extremely addicting. I love to cook but I feel that painting is starting to become a much bigger passion. See you at Home Depot! 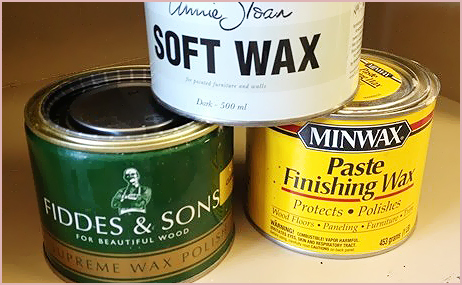 There are so many blogs out there dedicated to Annie Sloan’s clear/dark wax that I decided to write about my own experience with Minwax’s product. A) Price and availability. One pound of Minwax’s clear wax is $9.98 at Amazon.com AND you can find it at your local department stores. AS’s can be as much as $30 if you live in the United States! B) Minwax’s dark wax is so beautiful when brushed on, and it goes on very light. Personally I prefer this because I DON’T have to do any wiping with a cloth (I just rub in with a brush). If I want more coverage I do a second coat. Here’s the thing though, I am not a huge fan of excessive aging and distressing. I like the golden brown look of waxed furniture, and Minwax does a great job with subtlety. Plus it is extremely versatile! Instead of having to wipe off excess dark wax (such a waste! ), the color blends into the wood and gives it a slight stain. And yes, you DO want to use a brush (flat or round), because it is a real pain to get good coverage with their dark wax when using a cloth. The “lightness” factor could be a deal breaker for some, and that is understandable. Waxing is a taxing process in itself and who wants to spend more time re-applying coats if you’re anyone but me? 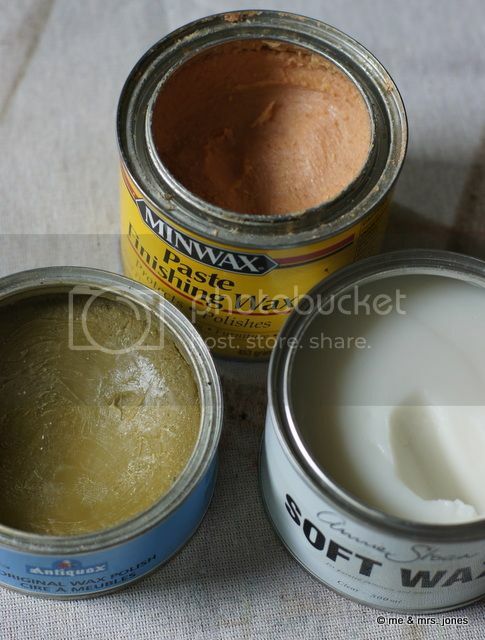 Another possible con is that Minwax’s clear wax has an orange-y tint to it. This isn’t a problem for me because I haven’t noticed a difference when applying on white furniture, and since I usually follow with a dark coat…the truth is, well who cares? So to summarize, if you are a fan of subtle dark and age-y furniture, go with Minwax. If the orange tint (that isn’t visible upon application anyway) doesn’t bother you, use Minwax’s clear wax. If you are frugal (like me) and don’t care either way, use Minwax! Beginner Tip: Use a blow dryer on low heat setting to melt the wax before applying. Duck Egg Blue in a can. 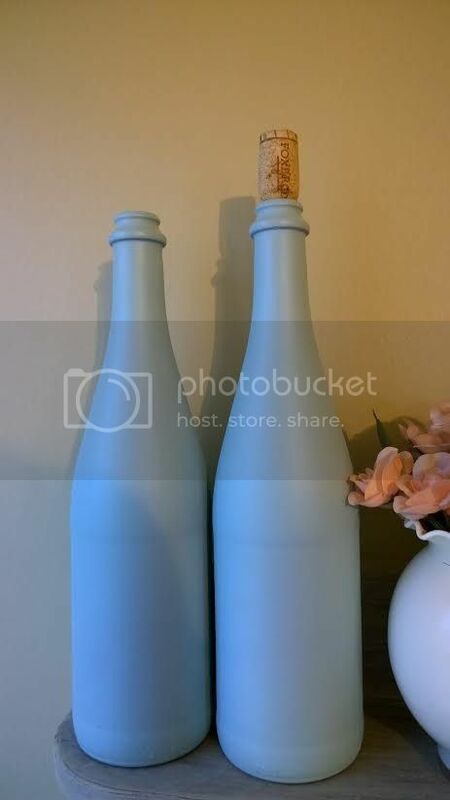 Those of you who love Annie Sloan will be relieved to find that her Duck Egg Blue color can be found at your local Home Depot at a fraction of the cost! Oh, and it comes in a spray can as well! It’s called Robin’s Egg and I’ve used it on almost everything, including my wine bottles that I absolutely adore.